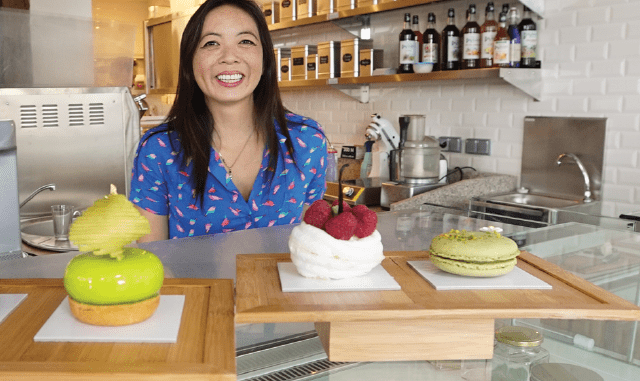 A tea salon selling artisanal, farm direct teas, locally roasted coffee and handmade desserts, A La Croix Pâtisserie was founded by expat Jackie Gibson. Jackie originally relocated from Ohio to Paris 10 years ago for an international telecom company. Her partner Arnaud is the chef behind the incredible pastries which have been his lifelong passion and exclusive professional career. The past 12 months have been both a professional and personal journey with the arrival of their son Archer who can often be seen (and heard) on the premises. Notable mentions: Kodama , Le Loir dans La Théière and Odette.